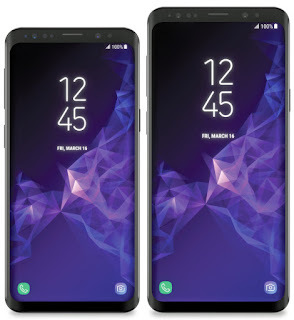 Alleged renders of Samsung's upcoming flagship the Galaxy S9 and Galaxy S9 Plus have leaked, thanks to VentureBeat's Evan Blass. The images show Samsung's next-generation flagship looks similar with the Galaxy S8 released in 2017 but includes a large display and small bezels. The new phones will pack 5.8-inch and 6.2-inch Super AMOLED displays respectively, according to rumors Samsung . Inside, the Galaxy S9 and Galaxy S9 Plus improved the hardware rather than the design and it will include a Qualcomm Snapdragon 845 chipset in the US and China, and Exynos 9810 systems-on-chip in the rest of the world. The Galaxy S9 model is said to get 4GB of RAM and 64GB of storage, and the Galaxy S9 Plus will have a bigger 6GB of RAM and 128GB of storage. This years flagship is also expected to have a dual 12-megapixel primary cameras with variable aperture that switch between f/2.4 and smallest-in-class f/1.5 the very first smartphone to implement this feature. It will also be able to record super slow motion video. An 8-megapixel camera and stereo speakers are expected on the front of the handsets. Render for the rear of the phone hasn't leaked, but the fingerprint sensor is said to be placed underneath the camera giving it a more ergonomic placement. 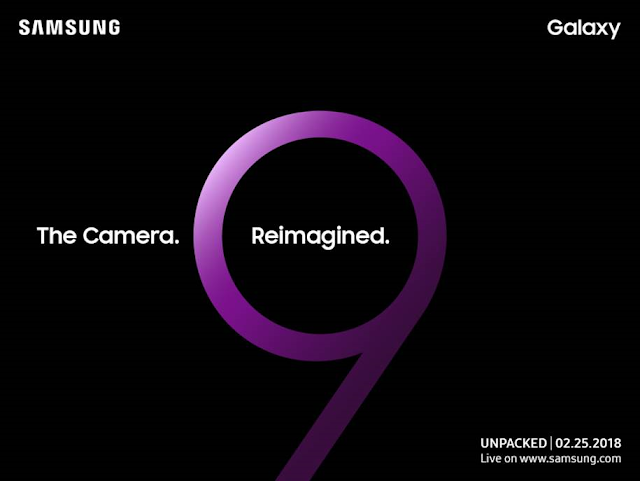 Samsung announced it will unveil the Galaxy S9 lineup on Feb. 25 at an event in Barcelona, Spain. and expected to ship worldwide on March 16. And if you cant wait for the launch of the S9 you can try its new wallpaper, thanks to the tweet of evan blass.